Need a Mesothelioma Lawyer in Alabama? Residents and workers in Alabama were exposed to toxic asbestos dust and fibers with highest exposure years being between, 1920-1980. Mesothelioma and asbestos-related cancers are typically diagnosed 10-50 years after initial exposure. Thousands of asbestos-containing products and materials were used throughout the state of Alabama in buildings, residential buildings, industrial plants, factories, power plants, chemical plants, refineries, shipyards and manufacturing plants. Alabama shipyard workers, construction workers, mechanics, power plant workers, mill workers, steel workers, railroad workers, pipefitters, plumbers, Insulators, electricians, and laborers are at higher risk than the general population for being diagnosed with Mesothelioma or an asbestos-related disease in their lifetime. There were at least 3,625 tons of asbestos shipments received in Alabama. High asbestos exposure was in in Birmingham, Montgomery, Mobile, and Huntsville. The state of Alabama has a population of 4,822,023 (2012 U. S. Census). Alabama ranks 25th in the U. S. for deaths from malignant Mesothelioma. Alabama ranks 20 in the nation for Mesothelioma cases. The mortality rate from Mesothelioma in Alabama is 9.46 per million. 192 Alabama residents died from malignant Mesothelioma from 1999-2004 according the National Center for Health Statistics. 741 asbestos-related deaths were reported in Alabama since 1979. (507 from Asbestosis and 248 from malignant Mesothelioma). 608 Alabama residents died from Mesothelioma and asbestosis between 1999 and 2005. 221 Alabama resident died from Mesothelioma in 2002-2006 to cancer according to statistics of the National Cancer Institute. 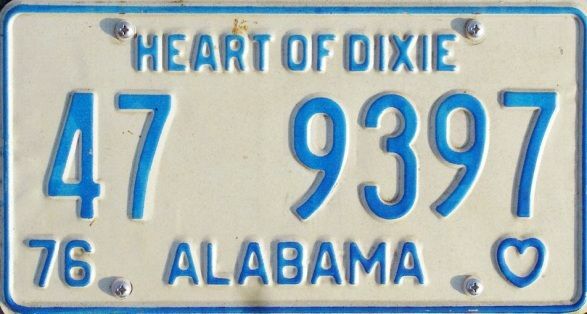 Alabama has a crude mortality rank of 34th in the U. S.
$2.1 Million Alabama Mesothelioma Settlement: Alabama woman developed Mesothelioma from her husband’s work clothes. $2.7 Million Alabama Mesothelioma Settlement: Alabama bricklayer developed Mesothelioma from asbestos exposure on the job. Alabama Workers and Residents Have the Right to Sue Manufacturers that Exposed them to Asbestos. Diagnosed With Mesothelioma in Alabama? It is VERY IMPORTANT that you file your Mesothelioma claim within the Alabama Statute of Limitations. We have seen many families lose their right to file a lawsuit because their Statute of Limitations had expired while they were grieving. We know it is a tough time to grieve the loss of a loved one, but please do not let your Statute of Limitations expire for filing your Mesothelioma claim. In most states the Statute of Limitations is 2-3 years. Some states have 6 year Statute of Limitations. If you missed your filing date you may still be eligible for funds from some of the asbestos trust funds that go back further than the Statute of Limitations. U. S. Courts have determined that Asbestos manufacturers and distributers can held liable for injuries that developed as a result of exposure to asbestos-containing products. Multi-Million dollar verdicts are being handed down by U. Courts in Alabama against asbestos companies who knew as far back as 1920 of the risks associated with breathing deadly asbestos fibers.